As the GPS based vehicle tracking systems made it easy to track vehicle on real time, AssetTrackr gives solution for real time personal car tracking keeping in mind the safety precautions of the school children, family members in shopping, family tours and teenagers going out with friends. With SAFEKAR Tracking and controlling of chauffeur driven cars are made easy. It is easy to create virtual safety fence (Geofence) by marking an area in the map. Set up landmarks (office, home, school) with the click of a button. Alerts are sent when a vehicle reaches the landmark or if the car has crossed the boundary fence setup by the user. User’s mobile phone will receive text messages or Smartphone notifications informing of any violation. The application can send alerts for various types of events and message feed with last known location and activity. It can send alerts when a vehicle over speeds or if it has been idling excessively. It has reports for distance travelled, idling time, engine-on time and over speeding time. All these reports are displayed graphically and in tabular form. 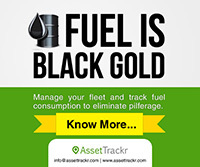 The solution tracks the vehicle performance and monitor expenses by providing a convenient mechanism to track re-fueling date, amount, odometer, and repairs. Based on this information, the solution will compute average and historical mileage, monthly expenses; service reminders etc. One can review and analyze trip history of past three months using our reporting and history features. Alerts can be raised in case of tampering, movement, immobilization and low battery status. Real time alerts allow immediate action and better response time. Event logs and daily reports along with historical data logging provide information base for statistical analysis. In addition the enterprise dashboard can be customized to report data of interest. 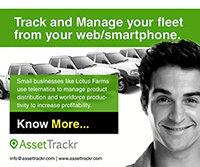 Assettrackr introducing SAFEKAR, Personal Car Tracking System, to ensure safety and security of your loved ones. For more information, Please watch our overview video on SafeKar – Personal GPS Car Tracker.